March 20, 2018 (Last Updated: March 9, 2019) - As an Amazon Associate I earn from qualifying purchases. 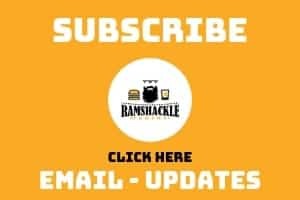 While we are in the midst of our hotdish series, I wanted to share another common hotdish recipe that is made throughout the Midwest. We have already made the first hotdish recipe, a from scratch hotdish, and now we are going to make a chicken chow mein hotdish. We have made plenty of ground beef versions of a hotdish and the dish is just much more versatile than this. As we talked about in our post that defines hotdish, a defining component is a protein. 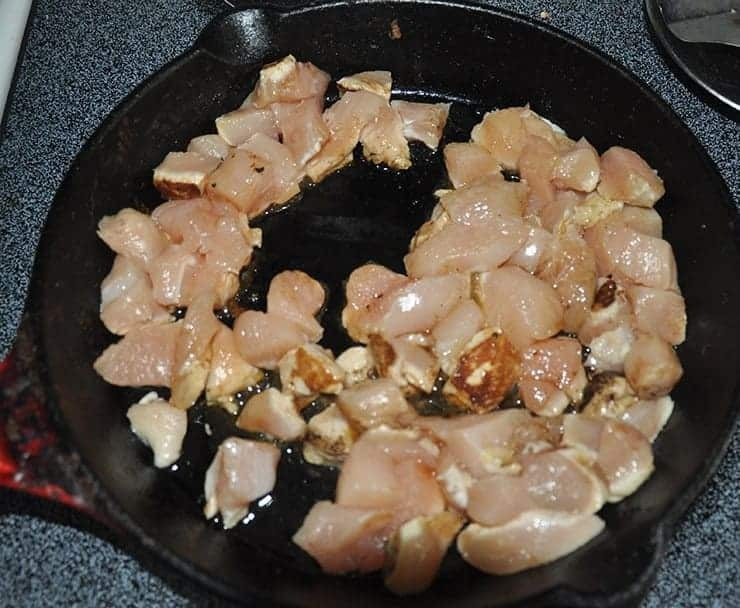 That doesn’t need to be hamburger and can absolutely be chicken. That is what we are going to do! Well, I already knew that this is a pretty common hotdish to make, but I did not have an exact recipe. 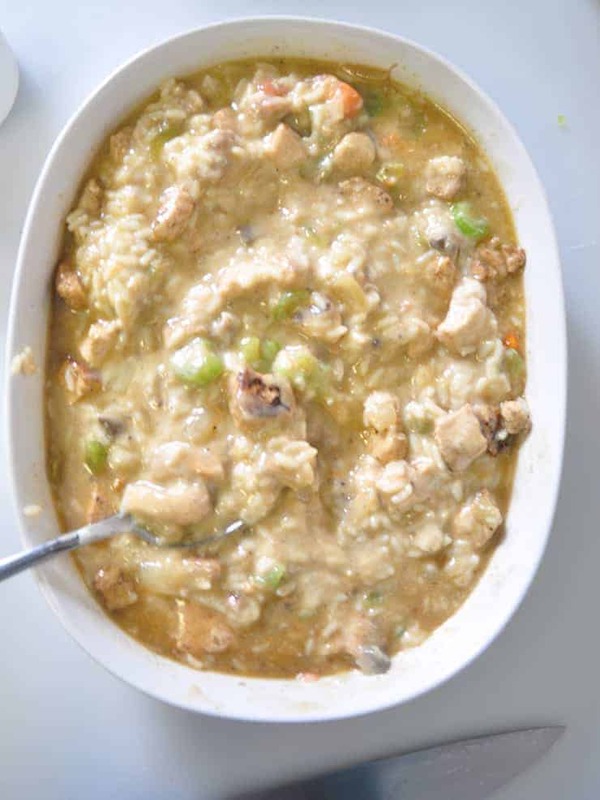 I mean, the just of it is pretty simple… cream o’ stuff soups, chicken, rice, chow mein noodles. To zero in on the recipe I wanted to feature, I pulled out the ol’ 1984 Our Savior’s Lutheran Church cookbook (75th Anniversary Edition). This cookbook is from Colfax, ND and where my father-in-law was born and raised. He also lived there with his wife until they moved to Fargo in the 80s. In fact, the cookbook has a recipe from my mother-in-law printed in it! She is church famous! So, there is a hamburger chow mein hotdish in this cookbook that I used as my inspiration for my chicken chow mein hotdish. The original recipe uses hamburger and I already decided that was going to be changed out. Also, I am going to change up the amounts of the veggies. 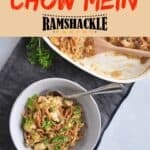 Is This Chicken Chow Mein Recipe a Hotdish? Some kind of protein, with hamburger being the most common. A crispy topping. Tots, chips, or even chow mein noodles. Our chicken chow mein recipe definitely meets all of these criteria. There is starch in both the rice and the chow mein topping. It has the soup, the veggies, and a crispy topping. Like a casserole, it is cooked in one dish. After having developed this recipe, I can say that I really like it! This is one tasty hotdish. Hey! If you like what we are doing here, please follow me on Pinterest and Instagram! 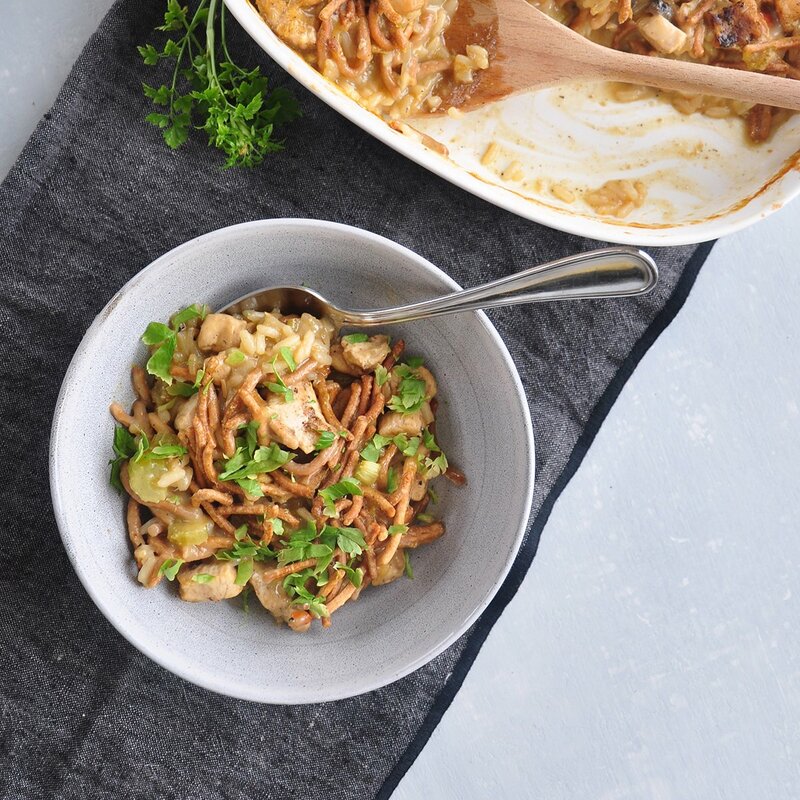 This Chicken Chow Mein Hotdish is an excellent comfort food that is easy to make and really tasty! Serve this one to your family for an easy and great dinner. 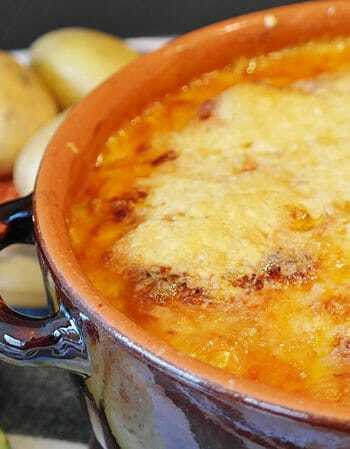 This Hotdish looks amazing an I love that you found some inspiration in an old church cookbook! Just out of curiosity…what’s your mother-in-law’s recipe? She also had a buttermilk pancake recipe in there. I love finding recipes that I can eat in instead of eating out! This looks delicious! I guess I’ve led a sheltered life because I’ve never heard of a hotdish. Well, I’ve heard of similar dishes, just not the name “hotdish”. Live and learn! Looks great though, and I too, love the church cookbook inspiration. I probably have 10 old church cookbooks in my collection. They’re treasures! I’ve never heard of “hotdish” as a category of foods before so I find this all fascinating! 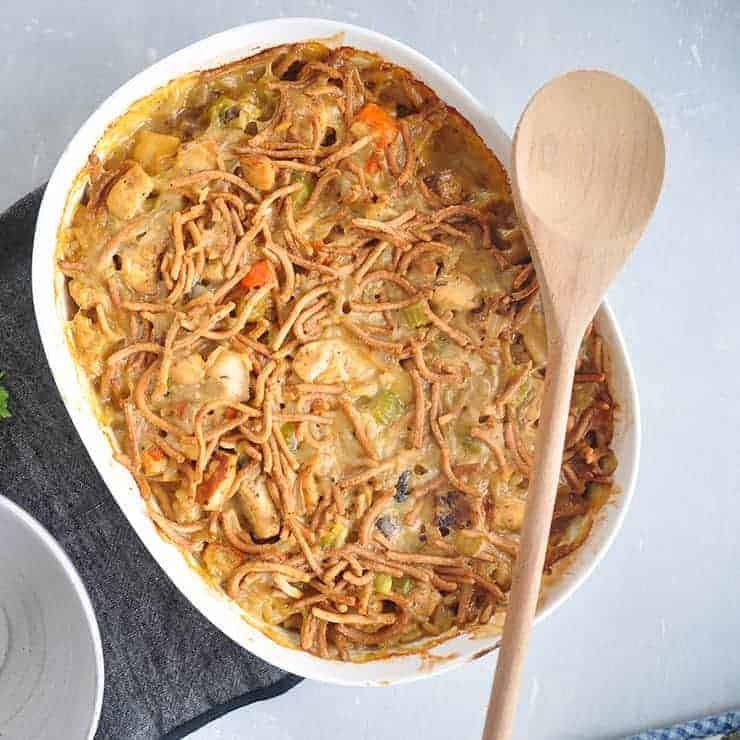 This chicken chow mein hotdish looks so delicious and comforting. I haven’t heard the phrase hotdish in ages! This one looks better than take out for sure! I feel like I have learned so much about the hotdish! I’ve never been to the Midwest so this is all new to me. So comforting! 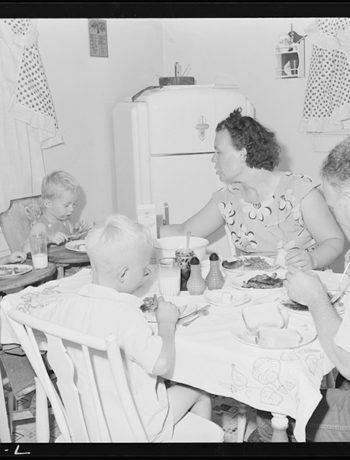 This makes me want to look through all my family’s old church cookbooks. This looks delicious and much healthier than ordering a takeaway too. I haven’t seen a casserole (hotdish) like this before! So unique and it sounds delish! What a creative twist! I love all these flavors – I’m sure it’s amazing!